Relatively unknown and ideologically less outspoken than his predecessor, Colonel Chadli Bendjedid attempted to strike a new balance as head of state. More state income had to be freed up to meet consumers’ demands, which meant a scaling down and restructuring of the state industrial sector. In political terms, Bendjedid’s agenda was to play off various opponents and ideological currents. He renewed the emphasis on the Islamic element of Algerian nationalism, which could be used as a tool against leftist tendencies in the state apparatus and in society. This only increased tensions, reflected in clashes amongst various groups of university students. 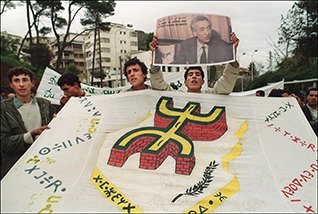 In 1980, demonstrations for the recognition of Berber identity and culture broke out in Kabylia. 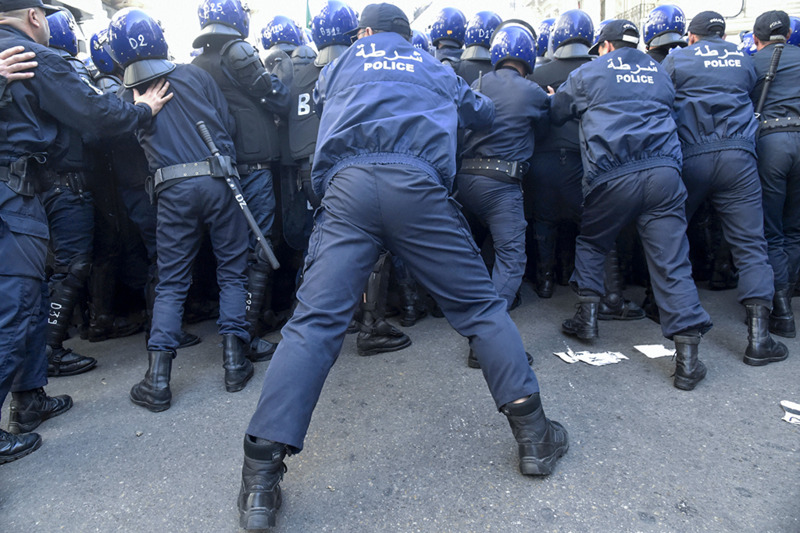 The authorities put down the protests but offered no new policies to resolve the tensions. In its attempts to strengthen its Islamic credentials and accommodate potential opposition from this corner, the government introduced a conservative Family Law. This law governing the personal status of men and women relied on Islamic law (Sharia) and codified several inequalities affecting women, including one relating to marriage, requiring that the woman be accompanied by a male guardian, and rules of inheritance (the latter were amended in 2005). This led to strong protests by the women’s movement, which included prominent women guerrillas from the independence movement. But as long as these protests involved only specific activist groups that did not appear capable of mobilizing large segments of society, the authorities chose, in most cases, to ignore these voices. In this way, the symptoms of political and economic imbalance were covered up instead of being cured by systemic reform. The National Liberation Front (Front de Libération Nationale, FLN), instead of being an engine of nation building, was now an institution in which competing leftist, Islamic, and liberal tendencies held each other in a stalemate. It became clear in just a few years that this situation was not producing stability. Because the leadership could only delay the course of events by resorting to revenues from the oil sector, the plunge in oil prices in the mid-1980s brought the crisis into the open. Instead of a new economic power, Algeria was a country mired in international debt. Austerity measures were, however, politically risky, as the nation’s leaders learned to their chagrin. 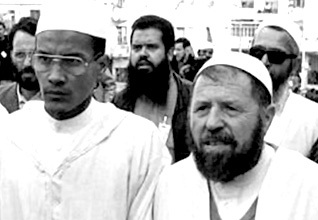 In October 1988 large-scale riots broke out in Algiers and other major cities. Demonstrators, mostly young, took to the streets, destroying public buildings and other symbols of the state. The army intervened and restored order, at the cost of hundreds of lives. President Bendjedid seized the occasion to sideline his political opponents in the FLN and announced far-reaching reforms. In February 1989 a new Constitution was promulgated that laid the basis for a multiparty system and the safeguarding of civil liberties. All references to socialism were discarded. Through this political move, which took many by surprise, Bendjedid hoped to prepare the ground for economic liberalization. This would allow him to deal with the external debt and strengthen the credentials of the state, externally as well as amongst the Algerian population. More immediately, democratic practices were meant to serve a divide-and-rule purpose. What was lacking, though, was a clear base of support and political platform for the leadership itself. This became clear in the first free elections, for municipal and provincial councils, in 1990. 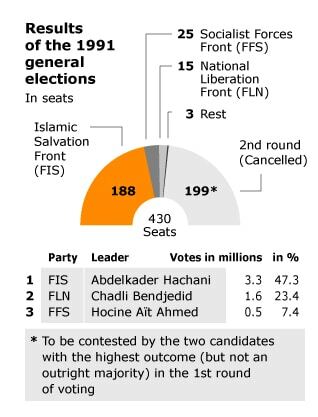 The state party, FLN, was trounced by the Islamic Salvation Front (Front Islamique du Salut, FIS). This was remarkable, because the Islamist group had just been founded the previous year, forged from a network of local groups and various Islamist tendencies that rallied behind the dual leadership of Abbassi Madani, a university teacher, and Ali Benhadj, a radical imam. A populist organization, it succeeded in rallying different social groups that had in common lack of access to the state system. Imams from unofficial mosques joined engineers and others with university degrees who could not get a job, small traders without the requisite political connections, and masses of voters attracted by the idea of an Islamic order or simply the desire to end the existing one. Although its leaders had been imprisoned following riots the preceding summer, the FIS repeated its success in the first round of parliamentary elections in December 1991, in which it obtained 47 percent of the vote and, thanks to the electoral system, probably an overwhelming majority of seats: this was the signal for the army to step in. 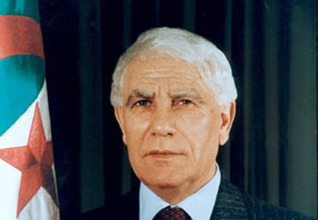 In January 1992, the military cancelled the elections and forced President Bendjedid to leave, because he had apparently been willing to strike a deal with the Islamists. The military took swift action against the FIS, which was banned, and imprisoned hundreds of party members in camps in the Sahara.